If you haven’t had a chance to attend any of the Money Smart Week events yet, there are still a few days left to attend a few and learn something new! We still have two Budget For Your Bank Activities scheduled this week in Thurston and Clark Counties. Bring the kids in and they will get to decorate a piggy bank of their choosing, but they have to work for it. 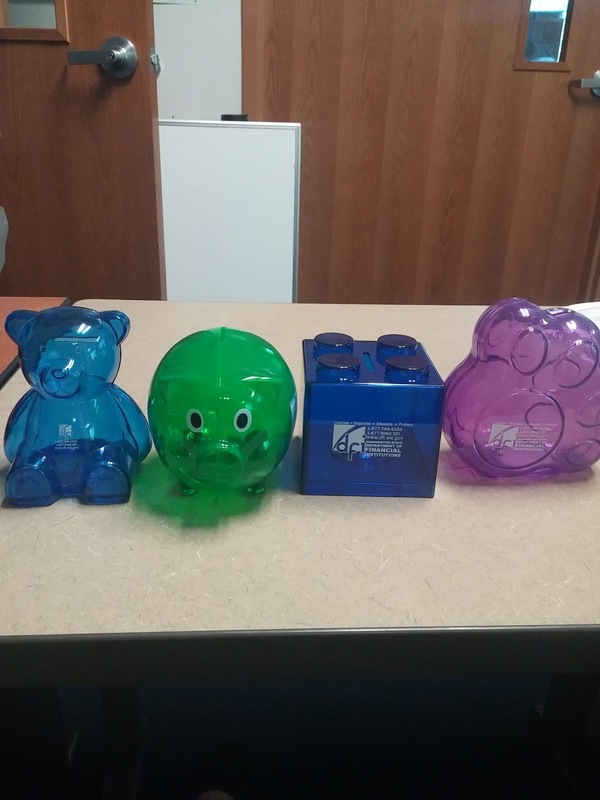 Each child will receive a $10.00 “income” when they come in, along with a budgeting worksheet that lists all the different options at the Piggy Bank Store. There are numerous piggy bank and décor sticker options all listed at different prices. Kids can then choose their piggy bank/sticker combinations but they must stay within their $10.00 budget. For those kids who save at least 10% of their income, there is a Super Saver Prize. If you have any questions about the Budget for Your Bank Event, you can contact Katrina Roy at Katrina.roy@dfi.wa.gov. The event is free and recommended for kids elementary school aged.